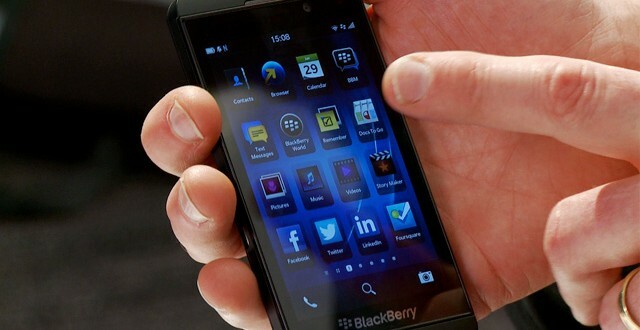 Although Blackberry are infamous for their QWERTY smartphones, rumor has it that the next handset manufactured by the company will actually not sport a keyboard at all. The device in question reportedly goes by the name of Rio, or Z20, and has specs similar to what you would normally find on mid-range phones. As for the target audience, Blackberry is apparently aiming the Z20 Rio at “Power Pros who want to be considered by others as being current with technology, yet cost is a major consideration in their purchase decision.” Looking at all the leaked details, I have to say that this sales pitch does have some merit to it. Specifically, the Blackberry Z20 Rio does come equipped with some decent specs and a 720p resolution 5-inch display to boot. Under the hood we should find something along the lines of a dual-core processor running a 1.5 GHz, 2 GB of RAM, 16 GB of storage with microSD support, 8 MP camera on the back, 5 MP camera on the front, and 2,800 mAh battery.The upcoming Blackberry handset is expected to arrive sometime in February 2015 and carry a price tag of $300. All in all, this looks to be a pretty interesting offering coming from a company that has relatively few touchscreen-only handsets. However, the Z20 will certainly face a lot of competition when it arrives, so its chances seem a bit slim at the moment. As for what the Blackberry Rio says about its owner, it sounds a little something like this: “I’m just getting started, but I’m ambitious and out to win and need a phone that will give me the competitive edge.” It’s worth mentioning that you should take this with a grain of salt for now and regard it as a mere rumor until Blackberry makes an official announcement. Stay tuned for more news and updates. Previous Galaxy Note 3 vs Galaxy Note 4: worthy successor or not?